I am an Australian Quilter who enjoys many types of quilt techniques. I love appliqué, crazy quilts, free motion machine thread painting, art quilts and machine quilting. I have been lucky enough to win Best of Show at the Victorian Quilters Guild Showcase twice, Best of Australia in the World Quilt Show and prizes in Houston and Paducah USA. 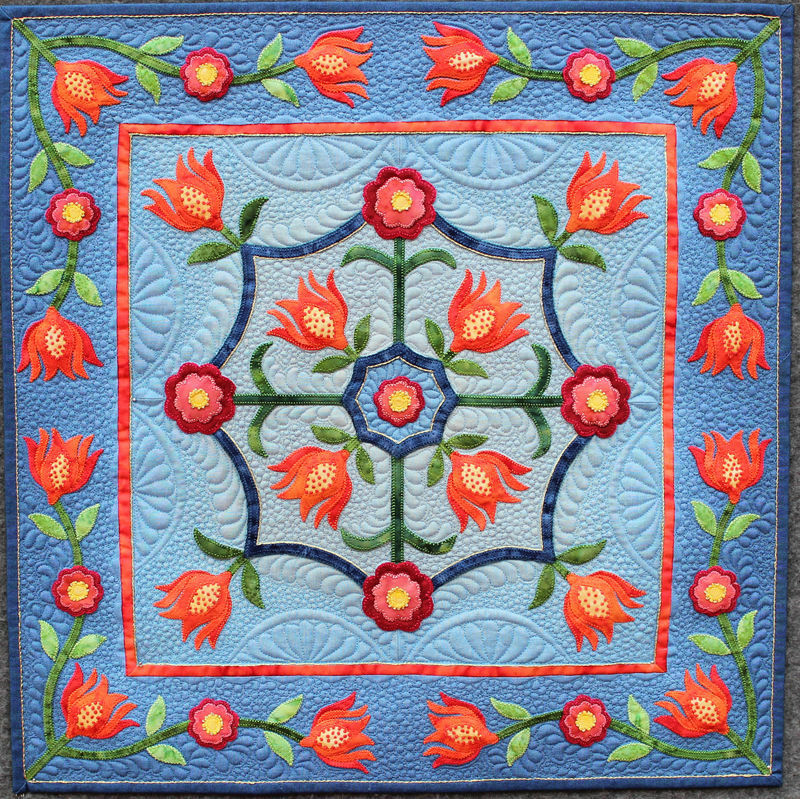 This quilt recently won 1st prize Miniature Traditional and Excellence in Use if Colour at the Victorian Quilters Showcase. All photos and text are the sole property of Linda Steele and are not to be copied or reproduced without permission.